Three decades ago we were unaware that exoplanets circled other stars. We had just started talking about dark matter but remained blissfully ignorant of dark energy. The Hubble Space Telescope was still on the drawing board and our understanding of the life cycle of stars, the evolution of galaxies, and the history of the Universe was shaky. But over the past three decades we have discovered thousands of exoplanets around other stars. We have mapped the life cycle of stars from their formation in beautiful stellar nurseries to their sometimes explosive deaths. We have seen deep into the history of the Universe allowing us to paint a picture of galaxies growing from mere shreds to the incredible spiral structures we see today. We now believe dark matter dominates the underlying framework of the Universe, while dark energy drives its accelerating expansion. The amount of growth over the past three decades has been dramatic. To better access what the next three decades will bring, NASA has laid out a roadmap — a long-term vision for future missions — necessary to advance our understanding of the Universe. In order to better address these questions, the roadmap defines three broad categories of time: the Near-Term Era, defined by missions that are currently flying or planned for this coming decade, the Formative Era, defined by missions that are designed and built in the 2020s, and the Visionary Era, defined by advanced missions for the 2030s and beyond. The Near-Term Era’s goal is to develop a comprehensive understanding of the demographics of planetary systems. The Kepler mission has already supplied a plethora of information on hot planets orbiting close to their parent stars. The WFIRST-AFTA mission — a wide-field infrared survey planned to launch in 2024 — will compliment this by supplying information on cold and free-floating planets. The Formative Era’s goal is to characterize the surfaces and atmospheres of nearby stars. This will allow us to move beyond characterizing planets as Earth-like in mass and radius to truly being Earth-like in planetary and atmospheric composition. A proposed mission that allows a large star-planet contrast will directly measure oxygen, water vapor, and other molecules in the atmospheres of Earth-like exoplanets. The Visionary Era’s goal is to produce the first resolved images of Earth-like planets around other stars. The roadmap team hopes to identify continents and oceans on distant worlds using optical telescopes orbiting hundreds of kilometers apart. The Near-Term Era will use the James Webb Space Telescope to supply unprecedented views of protostars and star clusters. It will resolve nearby stellar nurseries and take a closer look at the earliest galaxies. The Formative Era will trace the origins of planets, stars and galaxies across a spectrum of wavelengths. An infrared surveyor will resolve protoplanetary disks while an X-ray surveyor will observe supernova remnants and trace how these incredible explosions affected the evolution of galaxies. Gravitational wave detectors will untangle the complicated dance between galaxies and the supermassive black holes at their centers. The Visionary Era will peer nearly 14 billion years into the past when ultraviolet photons from the first generation of stars and black holes flooded spaced with enough energy to free electrons. The James Webb Space Telescope will provide an extraordinary means to better view this threshold. The Universe is full of extremes. Conditions created in the first nanoseconds of cosmic time and near the event horizons of black holes cannot be recreated in the lab. But the Near-Term and Formative Era’s goals will be to measure the cosmos with such precision that scientists can probe the underlying physics of cosmic inflation and determine the exact mechanisms driving today’s accelerating expansion. The Visionary Era may use gravitational wave detectors to detect space-time ripples produced during the early stages of the Universe or map the shadow cast by a black hole’s event horizon. The past 30 years have shown a dramatic growth in knowledge with unimaginable turns. Even with such a detailed framework laid out for the next 30 years, it’s likely that many missions are currently beyond the edge of the present imagination. The most exciting results will be drawn from the questions we haven’t even thought to ask yet. And as with any of the recent “roadmaps” that the various divisions throughout NASA have presented, the biggest question will be if the funding will be available to make these missions a reality. Again, this 110-page read may be found here. The roadmap team consists of Chryssa Kouveliotou (NASA/MSFC), Eric Agol (University of Washington), Natalie Batalha (NASA/Ames), Jacob Bean (University of Chicago), Misty Bentz (Georgia State University), Neil Cornish (Montana State University), Alan Dressler (The Observatories of the Carnegie Institution for Science), Scott Gaudi (Ohio State University), Olivier Guyon (University of Arizona/Subaru Telescope), Dieter Hartmann (Clemson University), Enectali Figueroa-Feliciano (MIT), Jason Kalirai (STScI/Johns Hopkins University), Michael Niemack (Cornell University), Feryal Ozel (University of Arizona), Christopher Reynolds (University of Maryland), Aki Roberge (NASA/GSFC), Kartik Sheth (National Radio Astronomy Observatory/University of Virginia), Amber Straughn (NASA/GSFC), David Weinberg (Ohio State University), Jonas Zmuidzinas (Caltech/JPL), Brad Peterson (Ohio State University) and Joan Centrella (NASA Headquarters). OTTAWA, CANADA — With 6,000 hailstorm divots scarring a space shuttle external tank, and no backup immediately available to fly, NASA found itself with a problem in February 2007. The STS-117 mission was supposed to carry solar panels and connecting trusses up to the station, so changing the shuttle rotation would affect construction. What to do? “I’ve got this tank that takes us a bit over two years to manufacture, and essentially it looks like your car here that was peppered by a hailstorm, and what are we going to do?” said Bill Gerstenmaier, NASA’s associate administrator of the human exploration and operations directorate, speaking today (Nov. 14) at the Canadian Space Society’s annual summit in Ottawa, Canada. To respond to the problem — based mostly on the word of two technicians who felt repairs were possible, Gerstenmaier said — NASA set out to fix the problem. Communications flew between the launch site in Florida and the manufacturer in New Orleans. NASA had a program that kept track of tiles on the shuttle, and modified it to take care of the dings. The mission lifted off successfully, using the repaired tank, in June 2007 — three months after the incident. Gerstenmaier said this demonstrates that it’s possible to be innovative on reduced budgets, and drew parallels to what NASA is facing right now as it fights through fiscal 2014 budget discussions. “We have to turn them not into a ‘woe is me’ kind of discussion, but rise above that and pull out the innovation, and that’s what we’re doing in this budget,” he said. Reduced budgets have helped NASA make use of reduced resources before, he added. It encouraged the agency to tender out to commercial companies (such as SpaceX) for cargo flights to the space station, even though development would occur on the fly. Gerstenmaier, however, did not address concerns that the new budget could cut back commercial crew budgets even further. Another example of past innovation by both NASA and the Canadian Space Agency, Gerstenmaier said, occurred when the space station’s Canadarm2 robotic arm was adapted to capture these commercial cargo vehicles and berth them into station. If the Canadians had been told in the 1990s — when the space station was just beginning — that the arm would have been required to do this, they likely would have balked, Gerstenmaier said. While only touching lightly on the ongoing budget discussions, Gerstenmaier did say NASA is keeping an eye on the efforts of Canadian astronaut Chris Hadfield and others as it continues to develop outreach. He joked that the movie “Gravity” really showed the divide between space fans and the general public. It seems the US in not going to avoid the sequester — the $85 billion worth of federal spending cuts due to kick in March 1, 2013. There will be across the board cuts to government agencies, applying equally to defense and non-defense spending, and will affect services from meat inspections to air traffic control. In some cases, federal workers will be furloughed or could stand to lose as much as 20 percent of their pay. One question no one can answer is how long it will take for Congress and the Obama administration to come to an agreement on a package that would reduce the deficit. But in the near term, how will it affect NASA? “Sequestration would significantly set back the ambitious space exploration plan the President and Congress have asked NASA to carry out,” NASA Administrator Charlie Bolden said in a message to NASA employees this week. “These damaging cuts would slash roughly 5 percent from the agency’s current annual budget during the remaining seven months of the 2013 fiscal year, a loss of about $726 million from the President’s budget request. This could further delay the restarting of human space launches from U.S. soil, push back our next generation space vehicles, and hold up development of new space technologies. In hard numbers, NASA’s overall budget would drop to $16.9 billion, down from the $17.8 billion Congress approved last year. NASA civil servants are safe from furloughs, but NASA contractors will see cuts in their contracts. In a press conference on Feb. 28, preceding the scheduled March 1 launch of the SpaceX Dragon capsule to the ISS, NASA’s Space Station Manager Mike Suffredini said the ISS would not be impacted very much. With humans on board the ISS, there can be no cuts in operations that would endanger the crew. While Sufferdini didn’t say so, if the cuts continue long-term to NASA, there likely would be an impact to science being done, and perhaps eventually crew size. Spending on the commercial crew program might take one of the biggest hits, and would be reduced to $388 million, which is $18 million less than it is currently spending and $441.6 million less than the agency had been planning to spend in 2013. Boeing, Sierra Nevada, and SpaceX are all under contract to meet performance milestones to deliver cargo and ultimately crew (by 2017) to the International Space Station. 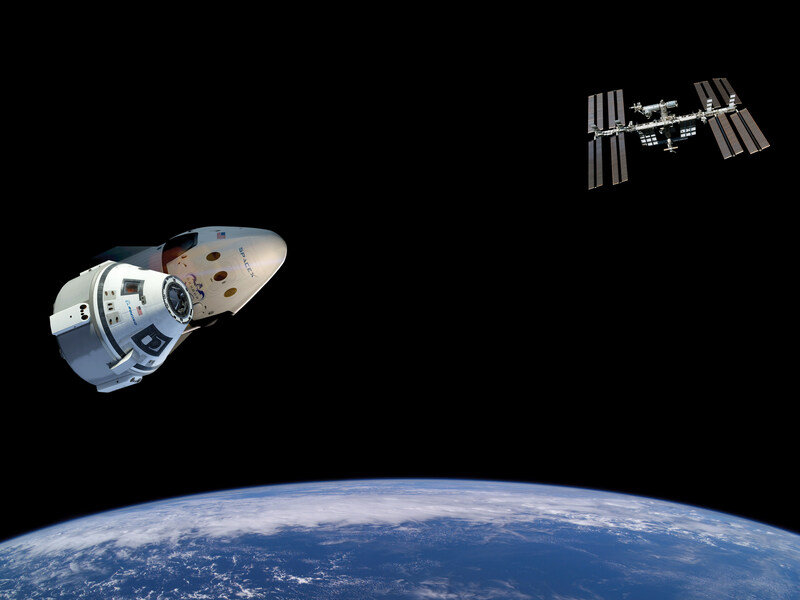 In a separate letter to Senate Appropriations Committee Chairwoman Barbara Mikulski, (D-MD) Bolden said NASA’s commercial crew partners would be affected by this summer, as NASA would no longer be able to fund upcoming events such as a test of Boeing’s CST-100 orbital maneuvering and attitude control engine in July, a September review of an in-flight abort test SpaceX plans to conduct in April 2014, and an October integrated system and safety analysis review of Sierra Nevada’s DreamChaser space plane. Also at the SpaceX press conference on Feb. 28, SpaceX President Gwynne Shotwell said the specifics of how the sequestration will affect her company is not yet known, but it will likely impact some of their milestones if the budget issues aren’t resolved soon. Howard Bloom, founder of the Space Development Steering Committee, said these cuts to commercial crew would be a disaster, delaying when US astronauts could launch on US rockets, and would just “shovel” money to Russia. Science and research will also be affected, with reductions of $51.1 million below the FY 2013 budget request for astrophysics and science, meaning funding for new missions such as Explorer and Earth Venture Class will be cut, decreasing mission selections by 10 to 15 percent, resulting in lower funding levels for new activities and causing some launch delays. There will also be a reduction in the number of science flight opportunities such as those for college and high school students, and the elimination of Centennial Challenges funding to for any new prizes. NASA’s Space Technology Program would be cut by $24 million to $550 million instead of $699 million, and any updates or construction at NASA facilities would be centers would be canceled. 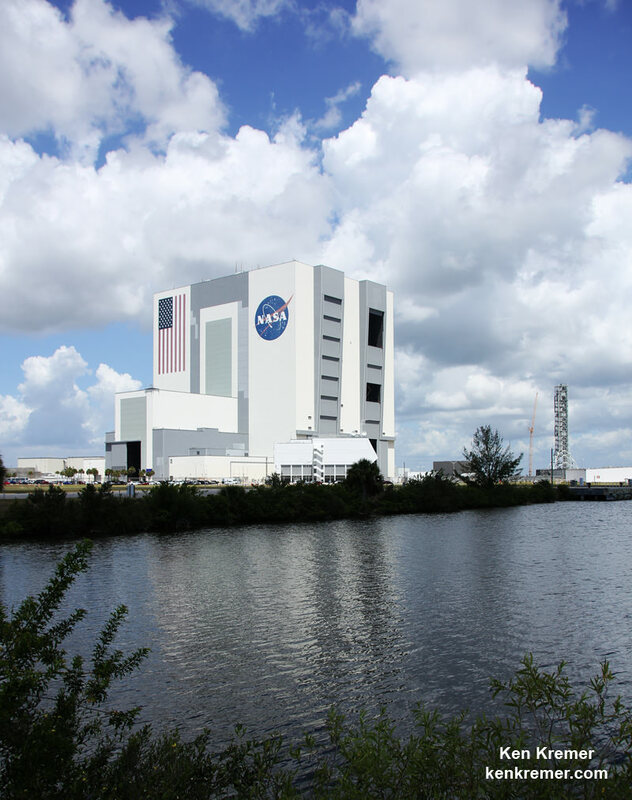 This may impact updates at Kennedy Space Center for infrastructure needed for NASA’s Space Launch System (SLS), the Orion Multi-Purpose Crew Vehicle, and other programs. As far as other science programs in the US there are reports that at least 1,000 National Science Foundation grants will be cut, and the National Institute of Health will lose $3.1 billion. Sources: NBC, AeroNews, Space Industry News.